Join AZBio and members of the Arizona Business and Bioscience Community for a special luncheon to honor our Arizona Legislators and State and Local Elected Officials who have made it possible for the Arizona Bioscience Industry to gain national recognition, build capital infrastructure, and take its place as a leader in both scientific discovery and job growth. 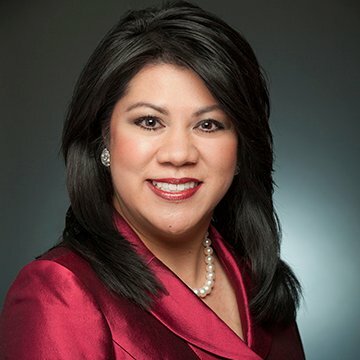 The Arizona Bioindustry Association (AZBio) will honor 10 Arizona Legislators on December 13, 2018 for their service to the community and for championing research, education, innovation, the growth of Arizona’s bioscience sector, and for ensuring that Arizona patients benefit from life science innovation. 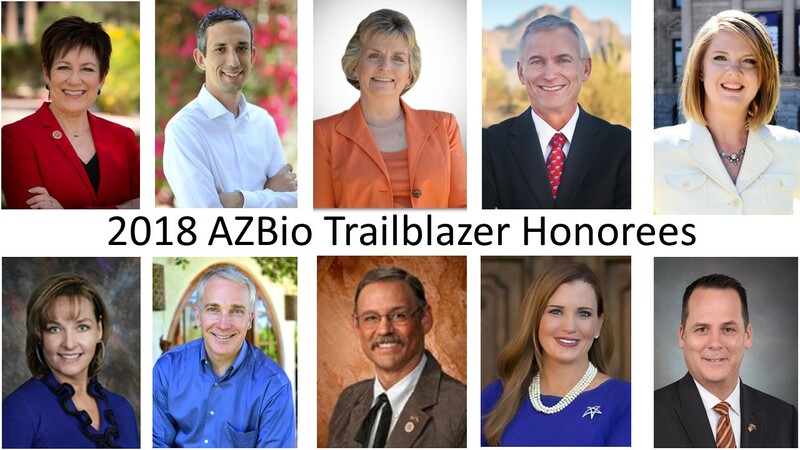 The honorees are recognized by the leaders of Arizona’s bioscience and healthcare community at the 2018 AZBio Trailblazer Awards during a special appreciation luncheon for members, elected officials and legislators. AZBio, members of the Arizona business and bioscience community and guests will come together on December 13, 2018 for a special luncheon to honor members of the Arizona Legislature and along with the State and Local Elected Officials who have made it possible for the Arizona Bioscience Industry to gain national recognition, build capital infrastructure, and take its place as a leader in both scientific discovery and job growth for the 2018 AZBio Trailblazers Awards and Legislative Luncheon. The investments made by the State of Arizona and our local communities play an important role in the discovery, development and delivery of life saving and life changing innovations. This year’s Trailblazer Luncheon will feature rapid fire innovation spotlights that illustrate the important work that is occurring here in Arizona presented by Axolotl Biologix, Celebration Stem Cell Centre, Center for Entrepreneurial Innovation, Critical Path Institute, Focus on Lyme, GlobalMed, HealthTell, Pinnacle Transplant Technologies, Primus Pharmaceuticals, and Ventana/Roche Diagnostics. AZBio is able to support these efforts thanks to the support of our community. Note: Ads must be received by 11/15/2018 to be included in the program. To sign up for support, click the registration link and pay online or request a invoice. For a look back at the 2017 Trailblazer Awards, Click Here. For a look back at the 2016 Trailblazer Awards, Click Here. For a look back at the 2015 Trailblazer Awards, Click Here. For a look back at the 2014 Trailblazer Awards, Click Here. For a look back at the 2013 Trailblazer Awards, Click Here. For a look back at the 2012 Trailblazer Awards, Click Here. For a look back at the 2011 Trailblazer Awards, Click Here.